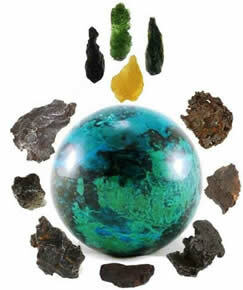 Astral interaction with earth has given us two types of stone to work with. There are a range of Meteorites, the metal-based material that is debris from other planets or stars that have found their way through our atmosphere. Nickel-iron and Chrondrite meteorites are relatively available. Others, such as Pallasite meteorites, that landed in one location are therefore rarer. The second type of astral stones were created within our atmosphere by the exhaust and explosive gases of meteoric activity, forming glass-like crystals, generically known as Tektites, whose shape and vibration displays the high temperature they were formed at. They have characteristic pitted surfaces and are often teardrop shaped. To some, there existence indicates that we are not alone, maybe not in terms of humanoid forms roaming the galaxies, but in energetic terms, and they are seen as messages sent to us. Whatever your thinking is on this one, it is certainly fascinating to learn of the variety of unearthly matter that is available. Formed in Earth’s atmosphere from meteoric explosion and impact. Encourages spiritual growth by absorbing and retaining higher knowledge. Aids release of undesirable experiences, remembering lessons learned and concentrating on those things that are conducive to spiritual growth. 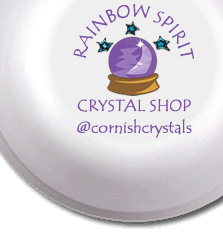 Promotes inter-dimensional communication and the ability to create and walk a spiritual path. Stony, silicate meteorites, thought to be 4.5 billion years old, around when the solar system was forming. Eases the path of those who feel they are a spiritual being who is trying to be human, while retaining the ability to feel in contact with other realms. Formed during the explosive impact of a meteorite of a size and speed that it melted before crashing into the Czech Republic, forming the Bohemian Plateau and spreading Moldavite across the area. Carries the power for transformation, rapid spiritual evolution and expansion of awareness, of synchronicity, seeing dark fears in a new light and connection to guides. A nickel-iron meteorite with pockets of Olivine, an Earth mineral, so it is thought to be part of Earth that broke off, possibly at the time the Moon was formed. It landed in the Atacama Desert in Chile in 1822. Aids inter-dimensional travel, prosperity, emotional stability. Encourages reconciliation with being in the earth realm, and able to ground thought into action. Formed by the conduction of heat from a meteorite that exploded over the Libyan Desert, forming yellow tektites that have been tumbled for centuries by the shifting sand dunes. Metal-based meteorites made of similar material to Earth’s core. Assists inner stillness, patience and persistence with spiritual growth and soul purpose on Earth. We have a full range of Moldavite, Libyan Desert Glass, Tektites and Meteorites for sale online and in our shop at 55 Molesworth Street, Wadebridge, Cornwall.